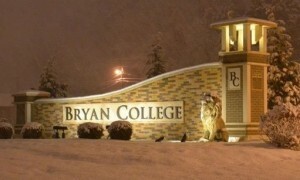 DAYTON, Tenn. – Four Bryan College trustees have resigned from their positions out of their disagreement with the leadership’s handling of an ongoing controversy over its holding to the literal Creation account. As previously reported, a controversy erupted at Bryan College earlier this year when the small evangelical school clarified its stance on the creation of man. The statement of belief clarification simply affirmed the traditional biblical position that Adam and Eve were divinely created by God—not descendants of earlier life forms. The simple clarification quickly generated an uproar, as many critics accused the small Tennessee school of unfairly disregarding any alternate interpretations of the Genesis creation account. Several professors announced in May that they would be leaving the school as a result of the creation controversy, while two other professors went so far as to file a lawsuit against the school. “The [school] board was asking me to exclude, even as a possibility, any other way of understanding Genesis than their view of what they think the founders probably thought,” Dr. Stephen Barnett told reporters. Now, according to Chattanooga’s Times Free Press, four members of the Bryan College board of trustees have resigned from the school—but not because of a disagreement with Bryan’s Creation statement. Trustees Gary Phillips, Jeff Ryan, Mark Senter, and James Wolf all stepped down last week, citing their discontent with Bryan College President Dr. Stephen Livesay and Board Chairman Col. John Haynes. On July 11, the four disgruntled trustees met with the other Bryan College board members to discuss the statement of belief clarification and the ensuing controversy. However, when the rest of the board defended the school’s decisions, the four trustees decided to resign because of the way the matter was being handled. Ryan also said that he did not like how the statement of belief clarification had been adopted. “In my opinion, it was pushed through at a time when it didn’t need to be pushed through,” he said. Despite the criticism, Chairman Haynes defended the school leadership’s decisions, saying a majority of the board supported Bryan College’s handling of the controversy.